Even just a few years ago, it was relatively uncommon for a wristwatch to sell for more than six-figures. However now, six and even seven-figure sale prices are becoming common occurrences, and many of the more coveted models are rapidly becoming unattainable. While some of these “grail watches” can cost as much as a modest vacation home, there are a number of significantly more affordable alternatives to these coveted classics that are not homages or modern re-issues, but rather similarly-styled vintage timepieces worth owning for their own unique merits. Regardless of the specific reference, any Rolex Daytona with a Paul Newman dial is going to cost at least six figures. There is something truly magical about Newman dials, with their Art Deco-style font and use of negative space. All vintage Daytona chronographs are expensive; however those with Newman dials are reaching stratospheric prices, putting them out of the realm of possibility for the majority of enthusiasts and collectors. However, these Newman dials were actually made for Rolex by a company known as Jean SINGER & Co., who also manufactured dials for a number of other prominent timepiece manufacturers. These “exotic” dials (now better known as “Newman” dials) were not something that was exclusive to Rolex watches, and similarly styled variations were used on a number of other timepieces from various manufacturers. One of the more affordable options with a dial that faithfully captures the overall aesthetic of the Paul Newman Daytona is the Wakmann Chronograph from the 1970s with an “exotic” SINGER dial. While these vintage Wakmann chronographs are most frequently found with cushion-shaped cases, their “exotic” dials are remarkably similar to those used by Rolex, and provide their respective watches with much of the same vintage aesthetic that makes the Paul Newman Daytona so popular and alluring to collectors. The Patek Philippe reference 1518 is one of those watches that is on nearly every watch collector’s shortlist of “grail” timepieces. 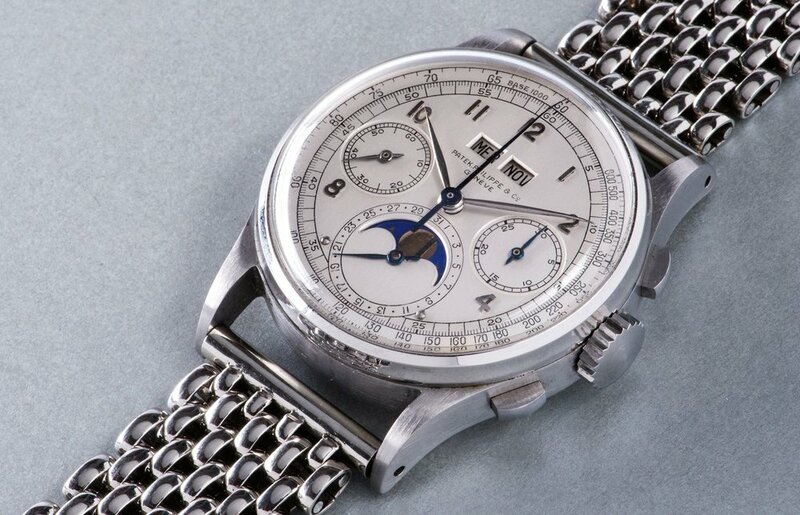 First introduced in 1941, the reference 1518 was the watch industry’s first ever, perpetual calendar chronograph. In addition to having an absolutely beautiful and refined design, only 281 examples of the reference 1518 were manufactured, which means that purchasing one will be quite expensive, assuming that you are even lucky enough to find one for sale. Obtaining a vintage timepiece with this degree of complex mechanical functionality will never be an inexpensive acquisition; however that does not mean you are stuck with vintage-Patek prices. The Tri-Compax from Universal Genève is the most advanced model within their Compax range of watches, and features running seconds, a 12-hour chronograph, a perpetual calendar, and a moon phase. While it does not have quite the same prestige of a Patek Philippe, the Universal Genève Tri-Compax is aesthetically similar to the reference 1518, and delivers much of the same functionality at a small fraction of the price. 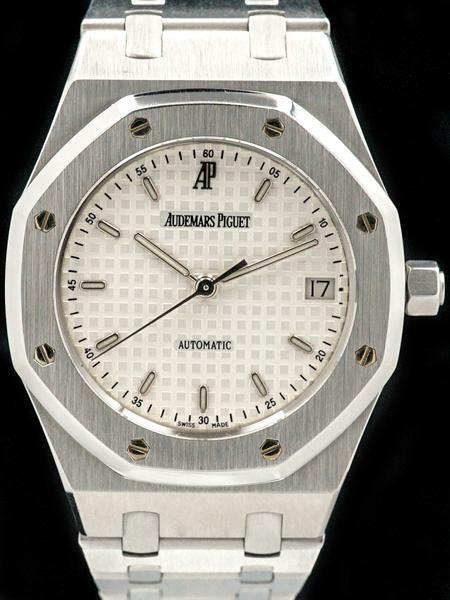 As the original stainless steel luxury sports watch, vintage examples of the Audemars Piguet Royal Oak are highly sought-after by collectors. While prices have not yet reached the same stratospheric levels of certain other iconic watches from prominent manufacturers, a vintage Royal Oak can hardly be considered an inexpensive purchase. The angular lines and integrated bracelet of the Royal Oak give the watch its iconic and visually striking design, which still looks modern and fresh nearly a half-century after its release. While a multi-million dollar expendable income is not a requirement to purchase a Royal Oak, the Rolex Oysterquartz Datejust is a fantastic and significantly less expensive alternative that also happens to be manufactured by the world’s most recognizable luxury brand. With an integrated bracelet that is more-than-slightly reminiscent of the one found on the Royal Oak, the Oysterquartz Datejust packs a lot of the same bold and angular styling, and uses one of Rolex’s early quartz movements, making it a truly unique watch, and a worthwhile addition to any timepiece collection. Anyone who is a fan of divers or military-issued timepieces almost certainly has the Rolex MilSub on their list of “grail” watches. These military-issued Submariners were manufactured by order of Britain’s Ministry of Defense (MOD), and feature a number of modifications to meet the requirements of MOD specifications. Given that these watches were made in limited numbers, and many saw extraordinarily rough use, only a small handful still exists today. Consequently, Rolex MilSubs fetch astronomic sums whenever they surface at auction, and have become virtually unattainable for most collectors. Although the Rolex MilSub is the military-issued watch to own, there are a number of other military-issued dive watches that can be purchased without the obligatory need to refinance your home. During the late 1970s, rising Rolex Submariner prices caused Britain’s MOD to look elsewhere for a supplier of dive watches. In 1980, they turned to Cabot Watch Company (CWC), whom they already had a relationship with as the supplier of their general service and pilots watches. Like all other CWC military watches, the CWC military diver was strictly manufactured to MOD specifications, and features all of the same hallmark traits of the Rolex MilSub, such as fixed spring-bars, sword hands, a fully demarcated bezel insert, and the ever-recognizable “circled T” insignia on its dial. While a Rolex MilSub will cost a minimum of six-figures, a military-issued CWC diver can be purchased for less than the price of a pre-owned Datejust, especially if it is one of the later-era examples with a quartz movement. The Omega Speedmaster is easily one of the world’s most universally loved and widely respected watches. Although the Speedmaster has remained in continuous production with minimal changes for over six decades, vintage examples are now reaching six-figure prices that were previously only associated with Rolex and Patek Philippe watches. As the first iteration of the Speedmaster from 1957, the reference CK2915 is the most coveted among the various Speedmaster references, and vintage examples now frequently reach into the six-figure price range when they sell at auction. One of the best things about the Speedmaster is how little Omega has changed its overall design throughout the years. Although Omega has released a few different heritage/re-issue pieces inspired by the original CK2915, the regular Speedmaster Professional is still fitted with an acrylic crystal, just like the very first one from 1957. While it may not have the same “broad-arrow” hands and stainless steel bezel as the CK2915, an older Speedmaster Professional with a tritium dial gives buyers a watch that is almost identical to the one that was first worn on the moon; however it will only set you back a few thousand dollars.